STREETERVILLE — Navy Pier has big plans to draw and keep more visitors, with proposed upgrades ranging from a new rooftop bar to a sweeping, elevated walkway at the end of the pier that juts out over Lake Michigan. The state's largest tourist attraction unveiled a bevy of new tourist draws Tuesday as it continues to push a revitalization driven by its 100th anniversary this year. 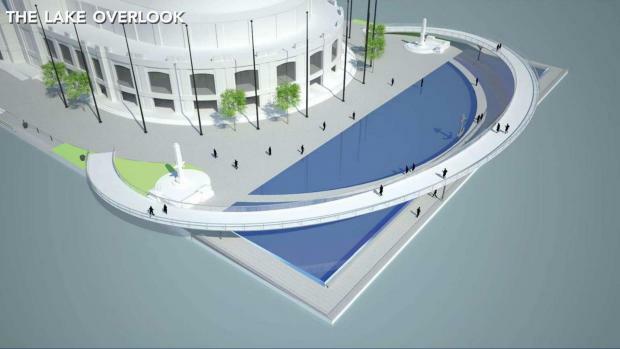 Some of the upgrades are reminiscent of other city sites, from a new "concert lawn" resembling Millennium Park's Pritzker Pavilion to a "Lake Mirror," or shallow pool, like Crown Fountain. City and pier officials are hoping the new attractions will help Navy Pier shed its reputation among many locals as a dated tourist trap. "I expect with these improvements it will only become more popular," said Ald. Brendan Reilly (42nd), who hosted Tuesday's presentation at the Loews Chicago Hotel. "A lot of thought has gone into this program, and I think it will be an overall improvement to the neighborhood and the city of Chicago." 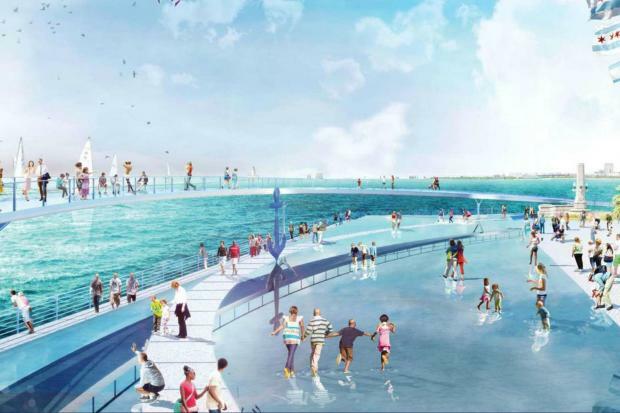 Literally and figuratively, the most far-out idea shown Tuesday was a "Lake Overlook" elevated walkway that would rise from the pier's eastern end over Lake Michigan. The path would accompany a "Lake Mirror," or shallow pool, below. 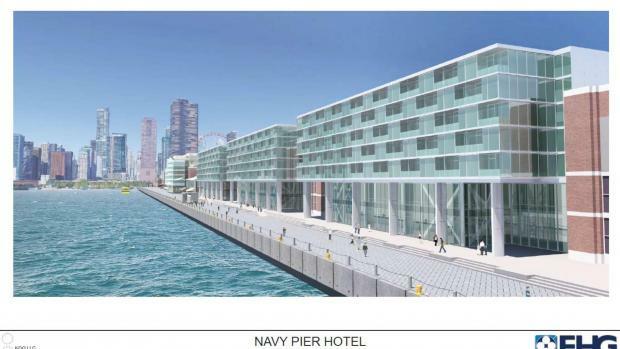 Navy Pier first announced plans to develop a hotel in 2014, and neighbors got a better look at the proposal Tuesday. The hotel would sit near the pier's southern dock and rise just a few feet higher than the neighboring Festival Hall, officials said. A hotel franchise has not been determined, but the property would be managed by First Hospitality Group, a Chicago developer that built TheWit hotel on State Street, among other properties. Plans also call for a new rooftop bar crowning the building connected to the pier's Grand Ballroom. "We’ve looked at images internally being used, frankly, for the same [reason] in the 1920s, so it’s exciting to create what will be a spectacular addition to Navy Pier," Steve Haemmerle, an executive vice president at Navy Pier, said. 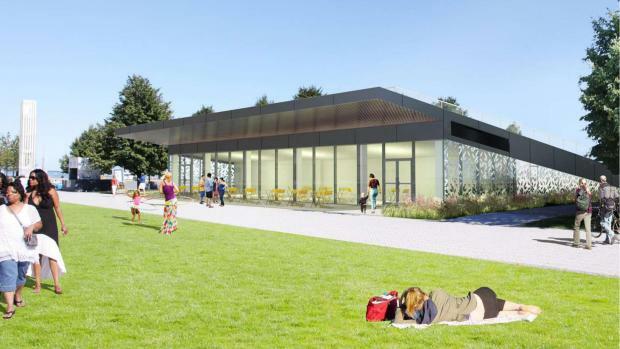 Proposals also include a new 4,000-square-foot pavilion/cafe welcoming guests to the pier's western end. Like the restaurant planned for Maggie Daley Park, the cafe would sit under a berm, helping it blend into its surroundings. 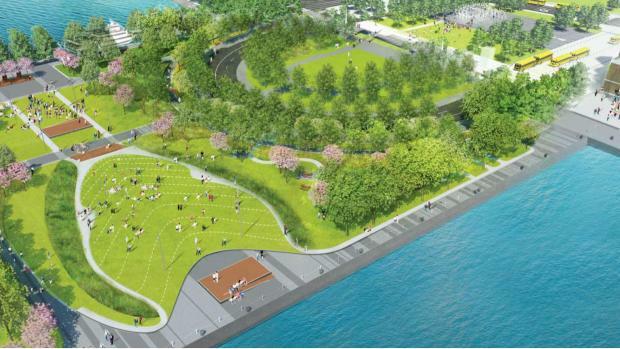 Those surroundings would include the pier's new Polk Bros. Park, which is under construction. 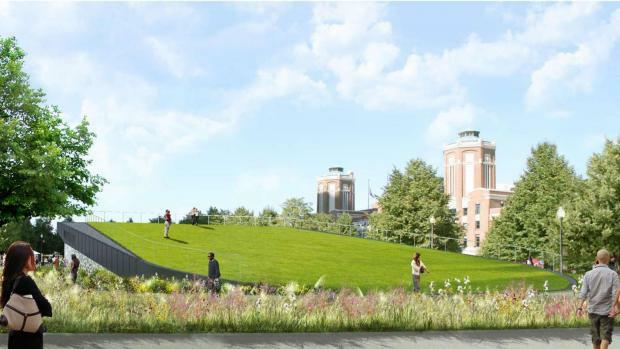 Once finished, it will include a concert lawn. 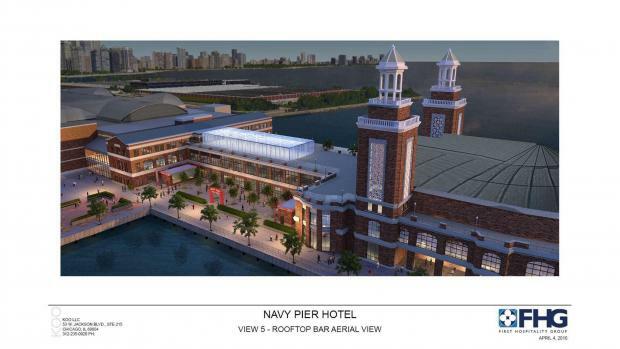 The pier also hopes to upgrade its IMAX theater, Crystal Garden, and add boat slips for rent along its northern dock. Though now public, the plans are far from finalized. They require city approval, and pier officials said Tuesday some of the upgrades are contingent on finding private donors to help with costs. But the developments would keep up momentum at the pier, which is already spending hundreds of millions of dollars on its makeover. Navy Pier debuted a new Ferris wheel over Memorial Day Weekend, an outdoor ice rink last month, and is also upgrading its food court and Chicago Shakespeare Theater. The City Council signed off on new rules last year allowing guests to grab drinks to go while they visit the pier. 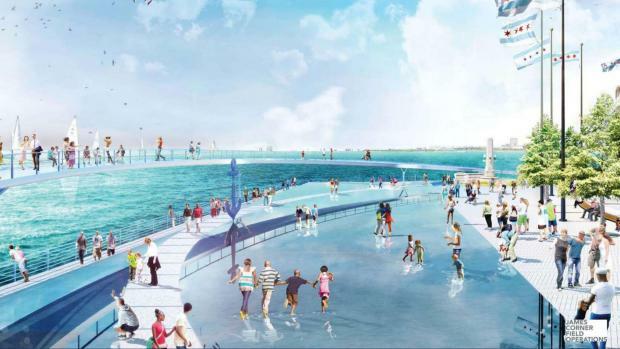 And nearby, state and federal authorities are building the Navy Pier Flyover, an elevated path meant to ease pedestrian and bicycle congestion near the lake. An estimated 9 million people visited the tourist attraction last year, according to Navy Pier's website. Marilynn Gardner, Navy Pier's CEO, implored neighbors to attend another community meeting at 8 a.m. Aug. 9 at Riva, a Navy Pier restaurant, focused on gathering suggestions for new cultural programming. "The physical is exciting, but the programmatic transformation will be truly world-class and help Navy Pier to be the world-class destination we all hope for it to be," Gardner said.